Camden Rocks Festival confirm Swedish rock giants Royal Republic and Leeds’ Pulled Apart By Horses, who just released their new album ‘The Haze’ to high praise from the likes of Kerrang, Q, Upset Magazine, DIY, NME, Uncut and many more, will join the 2017 line up this June 3rd. Camden Rocks Festival 2017 is the biggest and best value multi-venue all-day music event of the UK festival calendar. Progressively expanding each year adding new venues – 2017 will take place across 25 of Camden Town’s legendary music venues, now including Koko – and feature 250 bands, it’s become the annual highlight for many in the London locality, and far beyond. With near 100 more bands and artists still to be announced, this year’s headliners include the likes of FEEDER, The Coral, The Damned, Milburn, The Rifles, Reverend and The Makers, Carl Barat & The Jackals and many more topping the 250-band-strong bill, together with some of the country’s finest up and coming new acts. 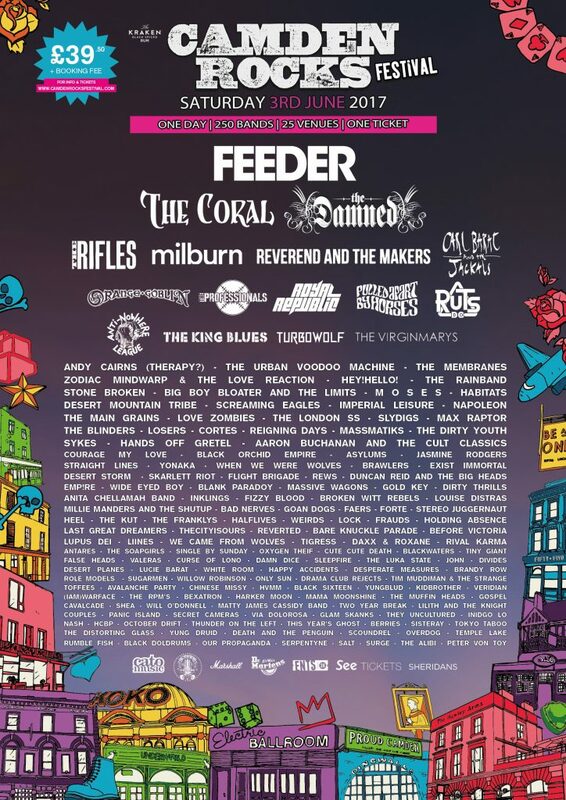 Camden Rocks’ previous years have seen special performances from a range of internationally acclaimed artists and prospering new bands including The Cribs, Funeral For A Friend, Bullet For My Valentine, Creeper, Slaves, Yuck, Heck, Billy Bragg, Ginger Wildheart, …And You Will Know Us By The Trail Of Dead, Gnarwolves and many more. Festival organiser Chris McCormack – formerly of Creation Records-signed quartet 3 Colours Red – promotes Camden’s best club nights all-year round under the Camden Rocks Presents moniker, putting on over 300 gigs each year, scouting the country’s finest new talent to showcase alongside some of the biggest names in rock, indie and punk at Camden Rocks Festival every year. Royal Republic, Pulled Apart By Horses, The London SS, FAERS, Before Victoria, White Room, Drama club rejects, Avalanche Party, Shea, Indigo Lo, HCBP, October Drift, Thunder On The Left, This Years Ghost, Berries, Sisteray, Tokyo Taboo, The Distorting Glass, YUNG DRUID, Death and the Penguin, Scoundrel, Overdog, Temple Lake, Rumble Fish, Black Doldrums, Our Propaganda, SERPENTYNE, Salt, Surge, The Alibi and Peter Von Toy. Feeder, The Coral, The Damned, Milburn, The Rifles, Reverend and The Makers, Carl Barat & The Jackals, Orange Goblin, The Professionals, Royal Republic, Pulled Apart By Horses, THE RUTS DC, The King Blues, anti nowhere league, Andy Cairns (Therapy? 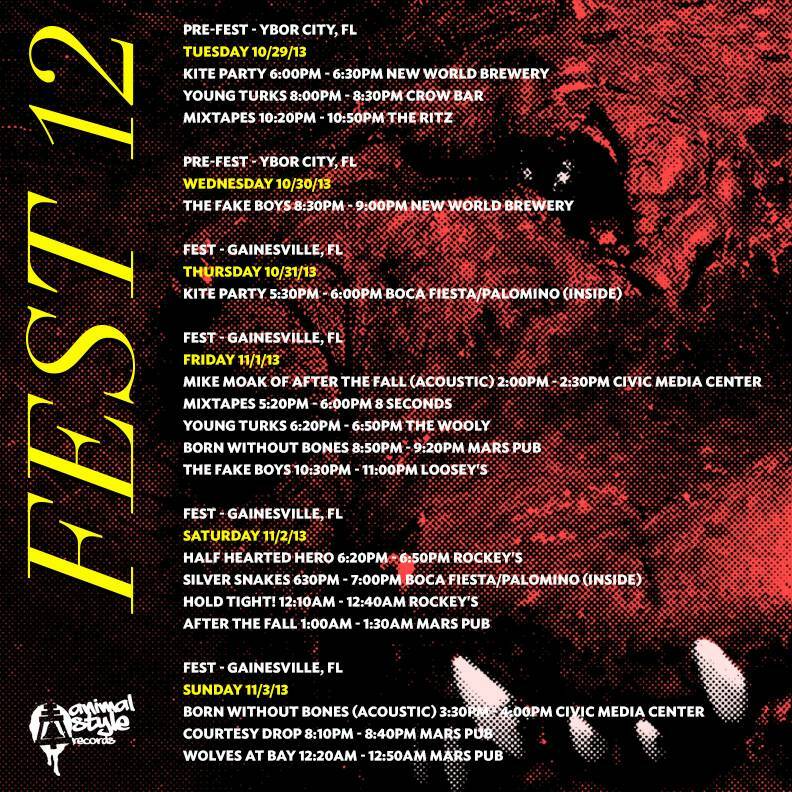 ), Turbowolf, The Virginmarys, The Urban Voodoo Machine, The Membranes, Zodiac Mindwarp & The Love Reaction, Hey!Hello!, The Rainband, Stone Broken, Big Boy Bloater and the LiMiTs, MOSES, Desert Mountain Tribe, Habitats, Screaming Eagles, Imperial Leisure, The Main Grains, Love Zombies, The London SS, Napoleon, Slydigs, Max Raptor, The Blinders, Losers, Cortes, Colour Of Noise, Reigning Days, MassMatiks, The Dirty Youth, Hands Off Gretel, AARON BUCHANAN and THE CULT CLASSICS, Courage My Love, BLACK ORCHID EMPIRE, Asylums, Jasmine Rodgers, Straight Lines, Yonaka, When We Were Wolves, BRAWLERS, Exist Immortal, Desert Storm, SKARLETT RIOT, Flight Brigade, REWS, Duncan Reid and the Big Heads, Empire, WIDE EYED BOY, BLANK PARODY, Massive Waggons, Gold Key, The Anita Chellamah Band, Dirty Thrills, Inklings, Fizzy Blood, Broken Witt Rebels, Louise Distras, Millie Manders & The ShutUp, Bad Nerves, GOAN DOGS, FAERS, Forte, Stereo Juggernaut, Heel, The Kut, The Franklys, Halflives, Weirds, Lock, Frauds, Holding Absence, LAST GREAT DREAMERS, THECITYISOURS, Bare Knuckle Parade, Reverted, Before Victoria, Lupus-Dei, Liines, We came from wolves, Tigress, Daxx & Roxane, Rival Karma, The SoapGirls, SINGLE BY SUNDAY, Oxygen Thief, CUTE CUTE DEΔTH, Blackwaters, Tiny Giant, False Heads, VALERAS, Curse of Lono, DAMN DICE, Sleepfire, The Luka State, John, Divides, Desert planes, Lucie Barat, White Room, Happy Accidents, Brandy Row, Role Models, Willow Robinson, Only Sun, Drama Club Rejects, Toffees, Tim Muddiman & The Strange, Avalanche Party, Chinese missy, HVMM, BLACK SIXTEEN, Yungblud, Kidbrother, Veridian, IAMWARFACE, The RPM’s, BEXATRON, Harker Moon, Mama Moonshine, The Muffin Heads, GØSPEL, Cavalcade, Shea, Will O’Donnell, Matty James Cassidy, Two Year Break, Couples, LILITH AND THE KNIGHT, Panic Island, Secret Cameras, Via Dolorosa, Glam Skanks, They Uncultured, Nash, Indigo Lo, HCBP, October Drift, Thunder On The Left, This Years Ghost, Berries, Sisteray, Tokyo Taboo, The Distorting Glass, YUNG DRUID, Death and the Penguin, Scoundrel, Overdog, Temple Lake, Rumble Fish, Black Doldrums, Our Propaganda, SERPENTYNE, Salt, Surge, The Alibi and Peter Von Toy.